Heating is an essential element for any home. As a homeowner, it’s in your best interest to familiarize yourself with the different types of residential furnaces to determine which one suits your home and heating needs. 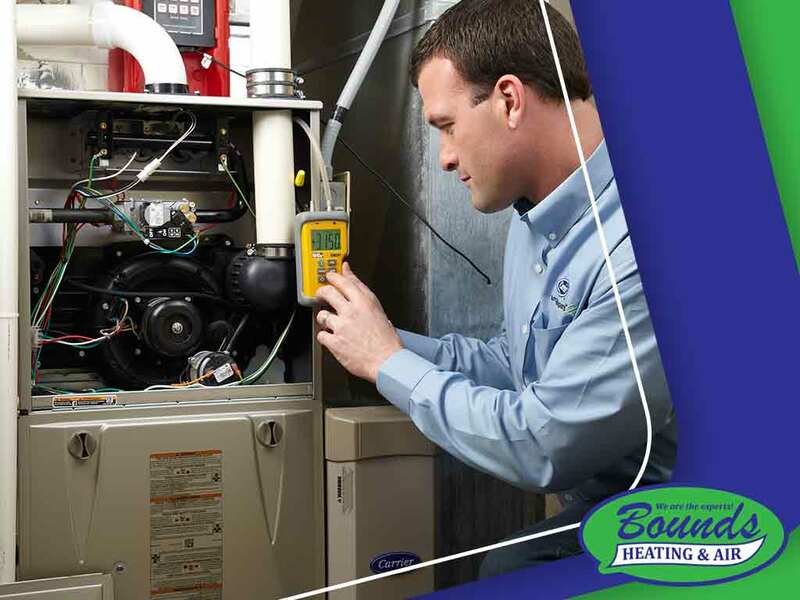 This post from your preferred HVAC repair company, Bounds Heating and Air, highlights the features of five commonly used residential heating equipment. This space-heating equipment uses either gas, fuel oil, or electricity. It utilizes a central combustor or a resistance unit that warms and circulates the air through the various ducts that lead to each room in your house. There are two other types under the central warm air furnace category: a forced-air furnace, which uses a fan to blow the air through the ducts, and a gravity furnace, which relies on the natural flow of warm and cold air. Check with your HVAC maintenance company whether a central warm air furnace is right for your home. This particular system supplies either steam or hot water to conventional and baseboard radiators, convectors, heating coils, heating pipes embedded in the walls, ceilings, or floors. A heat pump provides all year-round heating and cooling via various ducts that lead to each room in the house. Its basic components are a compressor, thermostat, and indoor and outdoor coils. These furnaces provide localized heating where they are installed. Floor furnaces provide heat to the room directly above it, while a wall furnace provides heat for either or both sides of the wall it’s attached to. A pipeless furnace is typically installed in the basement. It delivers heated air through the floor. These stoves burn logs, wood pellets, and biofuels to produce heated air. They can be used as stove inserts or as stand-alone units. At Bounds Heating and Air, we care about your comfort. We offer excellent services such as energy audits and air conditioning repair. For questions about our other services, call us at (352) 278-9123. We serve Gainesville, FL, and surrounding areas in Florida.